Despite only having 13 essays/reviews (counting the Editor’s Introduction), this issue stretches across more than 500 pages (again, counting the Ed. Intro.). Naturally, that means this volume featured some very long articles, including one that was more than 130 pages! Among the contents of this issue one will find topics discussing the Spaulding theory, the Book of Mormon translation manuscripts and eyewitnesses, sectarian anti-Mormon tactics, the Arabian setting for the early part of the Book of Mormon, in-depth analysis of LDS and Christian creation theology, Joseph Smith, psychohistory, positivistic ideology, and Book of Mormon literary forms, comparisons with Mormons and Jews, secular anti-Mormonism, the JST manuscripts, and the Joseph Smith Papyri. Thus, as usual, this issue provides an array of topics, one of which is bound to interest you. Daniel C. Peterson, “Editor’s Introduction – Not So Easily Dismissed: Some Facts for Which Counterexplanations of the Book of Mormon Will Need to Account, pg. 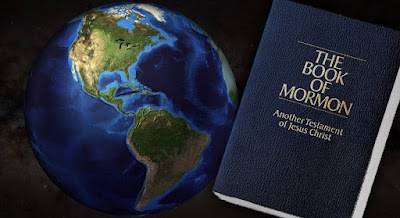 xi-xlix: Peterson discusses evidence for the Book of Mormon, focusing primarily on the evidence found in the Original Manuscript of the Book of Mormon, as well the eyewitness accounts of the translation process, and the testimonies of the three and eight witnesses. It is Peterson’s view (and I tend to agree), that these issues remain problematic for critics of the Book of Mormon, as no satisfactory explanation has yet to be provided. Matthew Roper, “The Mythical ‘Manuscript Found’,” a review of Wayne L. Cowdrey, Howard A. Davis, and Arthur Vanick, Who Really Wrote the Book of Mormon? The Spalding Enigma (St. Louis, MO: Concoria, 2005), pg. 7-140: Spanning across more than 130 pages, Roper offers an in depth investigation of the case for the Spaulding theory made by Cowdrey et al. To their credit, Cowdrey and company probably make the best possible case for the Spaulding theory. Unfortunately, their best case is only enough to put the theory on life support, and Roper effectively pulls the plug and places the corpus in its coffin for the viewing (Roper has since put the nails in the coffin and effectively buried the issue with his 2009 essay, which adds important supplementary analysis to this review). As I said when reviewing vol. 21/2, Roper has produced the most authoritative work on the Spaulding theory, and in my view his arguments are fatal. Brant A. Gardner, “Behind the Mask, Behind the Curtain: Uncovering the Illusion,” a review of Joel P. Kramer and Scott R. Johnson, The Bible vs. the Book of Mormon (Brigham City, UT: Living Hope Ministries, 2005), pg. 145-195: Gardner “unmasks” the “illusions” of quality scholarship and objective investigation that the producers of this film try to create. A great deal of the essay is spent emphasizing that Old World archaeology and research is completely different to New World archaeology, due to the fact that much more is known about the history of the Old World, and far more ancient texts have been found (along with more archaeological research in general) in the Old World than in the New. The most valuable portion of this review, in my opinion, is the portion where he discusses how one would go about detecting a Christian presence in Mesoamerica – noting that since Christians and Jews have typically adopted the iconography of their surrounding culture, their presence would virtually indistinguishable in the absence of historical texts (which is exactly the circumstance we find in Mesoamerica). Jeffrey R. Chadwick, “The Wrong Place for Lehi’s Trail and the Valley of Lemuel,” review of George Potter and Richard Wellington, Lehi in theWilderness (Springville, UT: Cedar Fort, 2003), pg. 197-215: Potter and Willington’s exploration of Lehi’s trail has become a fairly popular one, and their candidate for the “Valley of Lemuel” has been maintained by other scholars as the best present candidate. Nonetheless, Chadwick as some serious misgivings about it, and some of his criticisms are valid (and some may even be insurmountable). I have not yet seen Potter, or anyone else who has promoted their “Valley of Lemuel” candidate formulate a response to the most serious objections which Chadwick raises. As such, Chadwick’s review remains an important article in the realm of “Book of Mormon Old World Geography,” and it ought to be read by any serious students of the subject. Despite his misgivings, however, Chadwick is clear that he strongly recommends the book, considers some chapters of it to be required reading for those interested in this topic (Lehi in Arabia) and that he enjoyed reading it. Boyd Jay Peterson, “Response to Leaving the Saints,” a review of Martha Beck, Leaving the Saints: How I Lost the Mormons and Found My Faith (New York, NY: Crown, 2005), pg. 217-251: Peterson is Hugh Nibley’s son-in-law (and thus Beck’s brother-in-law) and the author of the authorized biography of Nibley. Peterson makes it very clear that he is a player in the events that have unfolded in the wake of Beck’s book, and not a disinterested scholar. He also clarifies that this is a “response,” not a “review” proper. Given his closeness of the situation, this reply to Beck’s book is much more personal than the other reviews previously published in the Review and elsewhere. Peterson is also clear that while he has some bias, he also had a familiarity with the events and circumstances related in Beck’s book, and thus has relevant information that others lack. Ultimately, Peterson’s “response” is (in my view) the most important review of Beck’s book precisely because of its personal nature. While it’s true that some information might be emotionally biased, Peterson left us notes and documentation so that the accuracy of his allegations can be traced, if necessary. This is more than can be said of Martha Beck. Blake Ostler, “Out of Nothing: A History of Creation ex Nihilo in Early Christian Thought,” a review of Paul Copan and William Lane Craig,“Craftsman or Creator? An Exmination of the Mormon Doctrine of the Creation and a Defense of Creatio ex nihilo,” in Francis J. Beckwith, Carl Mosser, and Paul Owen, eds., The New Mormon Challenge: Responding to the Latest Defenses of Fast-Growing Movement (Grand Rapids, MI: Zondervan, 2002): 95-152; Paul Copan and William Lane Craig, Creation out of Nothing: A Biblical, Philosophical, and Scientific Exploration (Grand Rapids, MI: Baker Books, 2004), pg. 253-320: Hollis Johnson engaged the scientific arguments advanced by Copan and Craig in a previous issue of the Review. What we have here is Ostler’s excellent critique of Copan and Craig’s theological/philosophical arguments. Ostler’s illustrates that creation ex nihilo is simply indefensible as an originally “biblical doctrine” and even many evangelical scholars – who believe in creation out of nothing – admit that it was an innovation of doctrine in the late second century AD. In refusing to concede this point Copan and Craig (as Ostler shows), strain the biblical and early Christian texts, insert eisegesis where exegesis should be, and impose their ideological assumptions on the original authors of the text. Alan Goff, “Dan Vogel’s Family Romance and the Book of Mormon as Smith Family Allegory,” review of Dan Vogel, Joseph Smith: The Making of a Prophet (Salt Lake City, UT: Signature Books, 2004), pg. 321-400: While other reviews of Vogel’s book have discusses and critiqued its historical merits, Goff discusses Vogel’s ideological assumptions and how they impose themselves into his telling of Joseph Smith’s story, his poor use of psychohistory, and his superficial reading of the Book of Mormon in an effort to make it into some sort of “allegory” for Joseph Smith’s life. Goff points out how all of these efforts result in Vogel forcing, and even inventing, the evidence for his theory. Raphael Jospe, “Jews and Mormons: Similarities and Differences, pg. 401-421: With the constant back and forth between LDS and Evangelicals getting old, and the discussions with secular critics of the LDS faith only proving to be mildly better, a discussion of the similarities and differences between Jews and Mormons is refreshing. Jospe talks about interfaith dialogue as means to enhance differences, and talks about the need to have such friendly relations. He discusses how on many points Mormons and Jews are both similar and different. Daniel C. Peterson, “Reflectionson Secular Anti-Mormonism,” pg. 423-450: Peterson offers some of his rudimentary musings of what he feels is the more serious problem for LDS apologists at this point: secular anti-Mormonism (as opposed to anti-Mormons of the evangelical variety). Although mostly preliminary, and thus in a sense superficial, I still found some of Peterson’s remarks rather poignant. After trying to identify different types of secular anti-Mormons and contextualizing them with the broader backdrop of modern secularism, Peterson places most of their criticisms into two broad categories and argues that their position may be somewhat incoherent, and thus self-defeating. Kerry Muhlestein, “The Book of Breathings in Its Place,” a review of Michael D. Rhodes, The Hor Book of Breathings: A Translation and Commentary (Provo,UT: FARMS, 2002), pg. 471-486: As Muhlestein discusses all the ways this definitive translation and commentary is going to benefit the scholarly community (especially the Egyptological community), one can’t help but think this is a little bit of FARMS self-promotion (not that I think there is anything wrong with that). But, I recommended it for two reasons: (a) it illustrates that FARMS is not nothing but some pseudo-scholarly institution dedicated to covering up problems for the LDS faith (Rhodes’s translation of the JSP is only one of many things published by FARMS which is not apologetic and is actually quite useful for the broader scholarly community), and (b) Muhlestein provides a side-by-side comparison of Rhodes translation and transliteration with that of Robert Ritner’s, with the differences noted and discussed. Such a comparison may not be all that useful for Mormon Studies proper, but is likely invaluable for Egyptian Studies. To be perfectly honest with you, I LOVED this issue. Both D. Peterson’s Introduction and his additional article on secular anti-Mormonism are must reads, as are the contributions from Roper, Chadwick, B. Peterson, Ostler, Goff, and Muhlestein (at least his appendix with his translation comparisons). Yes, that is a lot of “must reads” (as always, they are “must reads” for those interested in the topics they touch on), but this issue was really THAT good. The other two articles recommended here (the one by Gardner and Jospe) are likewise important contributions. This is in the running for best issue ever (according to me, of course) along with 18/1 and 14/1-2. I guess I better make a point of reading this issue. I think I've only read three or four of these articles thus far.